Set in London in 1926, this novel features Evelyn Gifford, who we first met in an earlier novel by Katharine McMahon, The Crimson Rooms. Now one of the first female qualified solicitors, Evelyn’s brother was killed in WWI and she is living with her young nephew and his mother Meredith. Two cases dominate the storyline; one regarding disputed paternity and another regarding union strikes. In her personal life, too, Evelyn faces challenges, decisions and conflicts, with the chance of happiness with a man who admires and loves her, and yet the lure of a past lover returned. 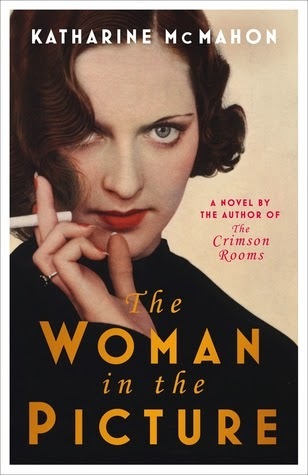 The Woman in the Picture is another beautifully written historical novel by Katharine McMahon, with super characterisation; it’s wonderful to revisit Evelyn and discover her current endeavours – though this novel can certainly be read without having read The Crimson Rooms. The narrative offers a compelling portrait of a time when a female lawyer was unusual and the preconceptions and judgements Evelyn therefore faces from others in the profession and from the general population. The story moves along at a good pace, both the legal matters and the romantic aspects are intriguing and held my interest. The author has a skillful and elegant way with language and incorporates convincing authentic period detail. I think anyone who enjoys well-written historical fiction with an engaging, intelligent plot and an element of romance, and in particular if you like to read about a strong, independent female central character, will find a lot to love in this novel. The legal focus of the plot make this one sound very different in a good way. Well crafted characters in book like this are essential so it is good to hear that McMahon has done a good job on that front. Thanks for your comment, Brian. Definitely a strong, well drawn lead character and interesting legal themes too. This sounds interesting. I like that there's both legal and personal story lines. I will definitely have to look for this one though I think I'll start with the first one. I remember hoping there would be a sequel when I read The Crimson Rooms, so I'm really looking forward to reading this one. Hi Lindsay, I adore well-written historical fiction so this sounds just perfect for me. Sorry I’ve not been over for a while I’ve been away. Barbara. The first thing that struck me about this book was the cover and the picture of someone smoking. Funny how quickly we've getting used to no longer seeing such images. The dual aspect of the story certainly sounds like an interesting combination. Lindsay has read 8 books toward her goal of 155 books. 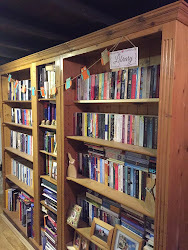 Share book reviews and ratings with Lindsay (Little Reader Library), and even join a book club on Goodreads. I LOVE OLD ENGLISH SHEEPDOGS! Written by Lindsay Healy 2011-2018. Simple theme. Powered by Blogger.